It’s hard to believe that all the work that has gone into this book will shortly be unveiled in a matter of weeks. 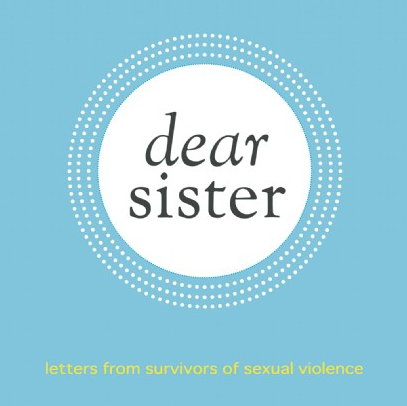 The contributors’ voices and bravery to write, edit, and share their hope reminds me everyday that this book will go where it most needs to be: into the hands of survivors and into the hearts of their communities. Two weeks ago, I was inundated with tasks to ready for the release. In preparing for a national book tour and also for local launch party, the To Do list rapidly morphed into an anxiety provoking reminder of all the work that needs to be done. One morning, I went to research a local space for the Cleveland launch and met with a restaurant manager who owns the funky urban space I was eyeing. He was from Ireland and landed in Cleveland by way of New York and after going through the details of space and timing of the event, asked me what the book was about. But this man was different. He dropped his arms, calmly placed one hand over the other and lowered his voice, “You know,” he shook his head sadly, “I’ve been working in restaurants for all my life. I treat my staff respectfully and I like to have a relationship with them. I’ve learned to listen and some of their stories, especially from the girls on staff, are just…” He shook his head. I nodded, knowing where he was going. It reminded me why this book is so powerful. It reminded me that these small wonderful details are necessary tracks to lay before the power dialogues can begin. Survivors are everywhere. Listeners are everywhere. Now we just need to connect.